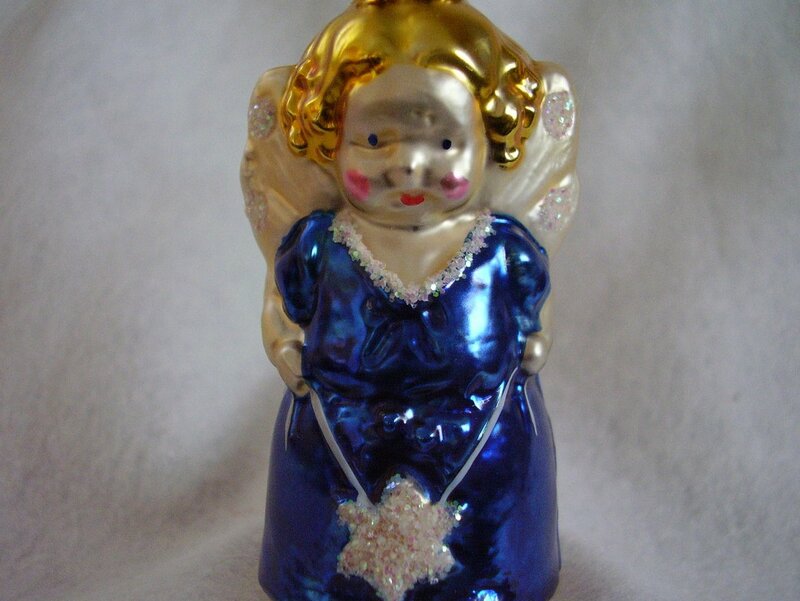 Angel Holding Star, a retired 1980s Christmas ornament 1023, measures 3 1/4 inches tall x 1 1/2 inches wide She is made of blown glass, is hand painted and glittered. 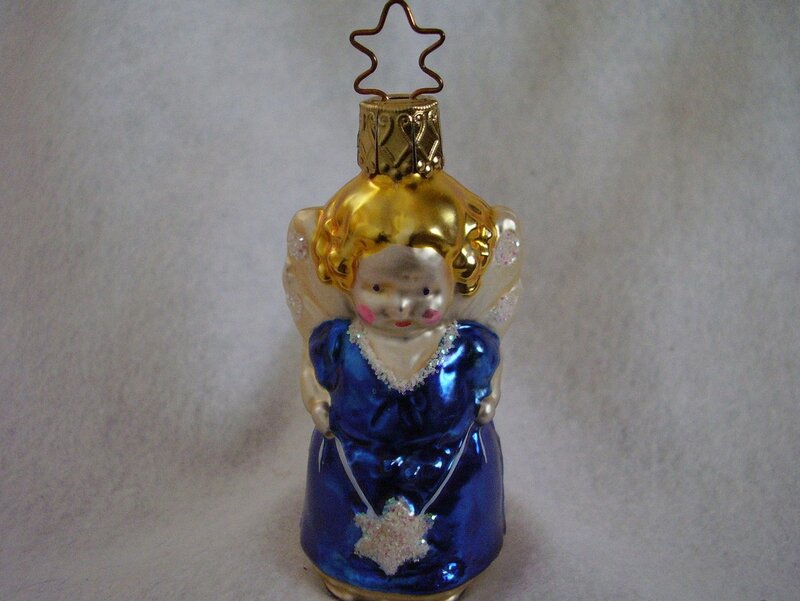 It is topped with the star cap trademark, signifying its authenticity as an heirloom ornament created by Inge Glas of Germany. She is made of blown glass, is hand painted and glittered. It is topped with the star cap trademark, signifying its authenticity as an heirloom ornament created by Inge Glas of Germany. Made in Germany stamped on cap. 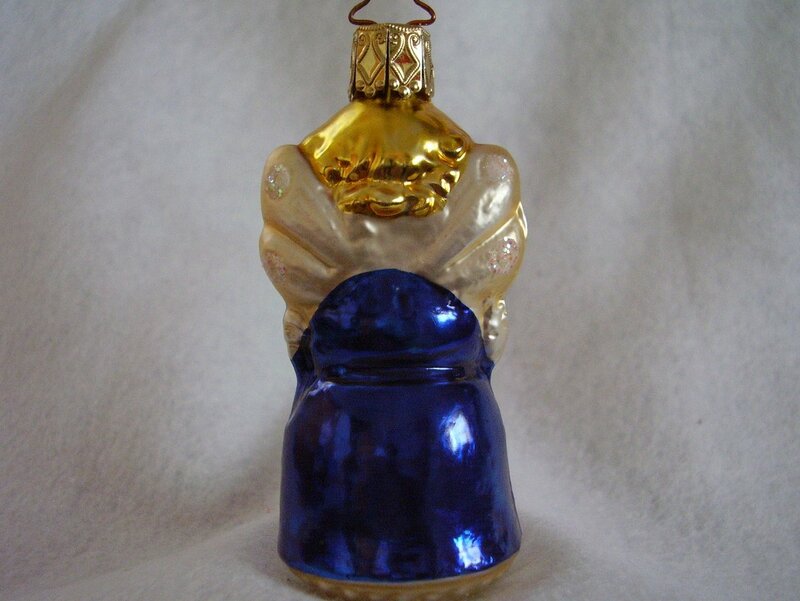 With her beautiful golden locks of hair to her midnite blue dress she is sure to look stunning on your Christmas tree. She is in excellent used condition with no chips, cracks or paint loss. Inge Glas is a family operated business that has been handcrafting glass ornaments with skills that have been passed on for generations. 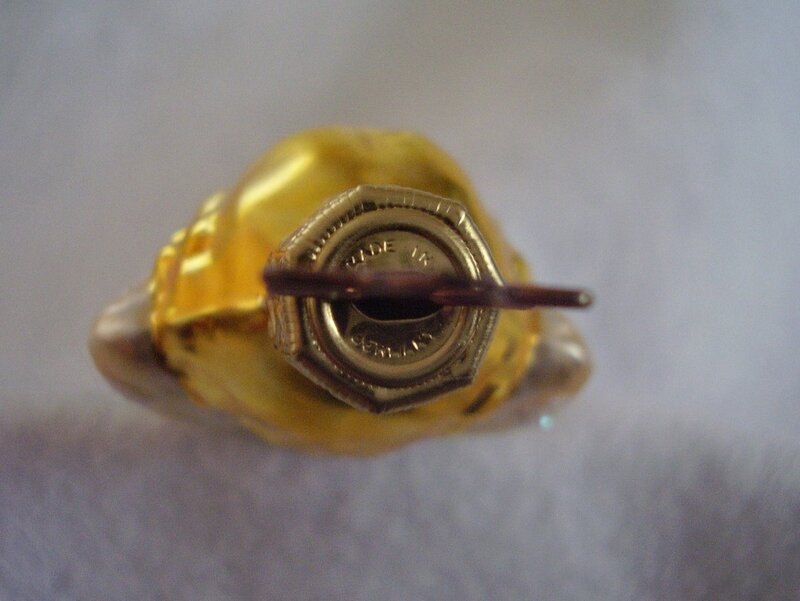 Their trademark, the exclusive 5 Point Star Crown suspension ring, caps every one of their heirloom ornaments and is the symbol of their company's superior quality and 410 years of dedicated craftmanship. Inge Glas employs over 100 artisans and yet, maintains the characteristics of a small family business. Using the same mould composition as those ornament moulds created over 100 years ago, Inge Glas has successfully kept the spirit of the glass cottage industry alive.